I love going to festivals and learning new things. Does dalkardrean belong in this group? Does dreamweaver55 belong in this group? 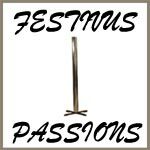 Blavus Festivus? ...intending to participate, I heard it's fun. Does 48stateofmind belong in this group?